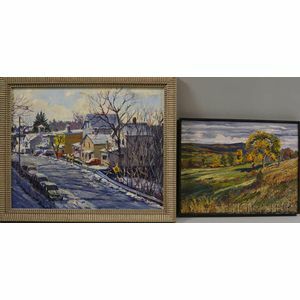 Two Oil Landscapes: Urban Winter and Early Autumn Fields. Winter signed "James Cramer" l.r., Autumn signed and dated "Cramer 89" l.r. Sizes to 16 x 20 in., framed. Condition: Good.